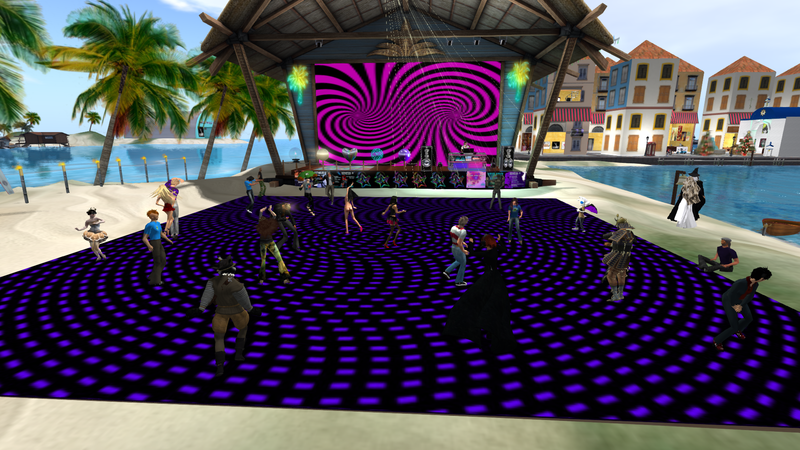 Attendees of the Open Simulator Community Conference left from the last session of the weekend part of the conference and hopped the hypergrid train to Tiki Beach on Pirate’s Atoll for the 3rd annual after-party, known as “Etheriel: Dream Pop Rave”. 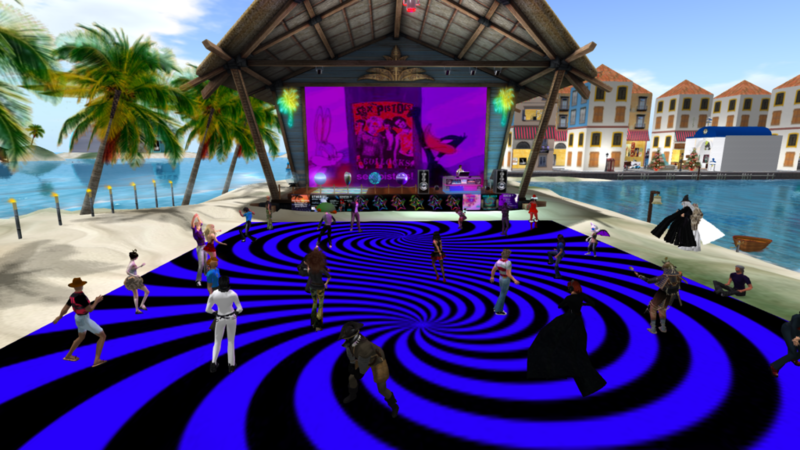 There amidst swirling visuals, particles and fireworks (including some cool dance effects that people brought themselves), were lots of dancing avatars, taking in the sonic textures and solid beats of dream pop, shoegaze and some classic alternative rock. At one point, a particular set of music was introduced as a tribute to Dream Pop Musician Cash Askew of Them Are Us Too, who had tragically perished in the Oakland “Ghostship” Warehouse fire the weekend before. 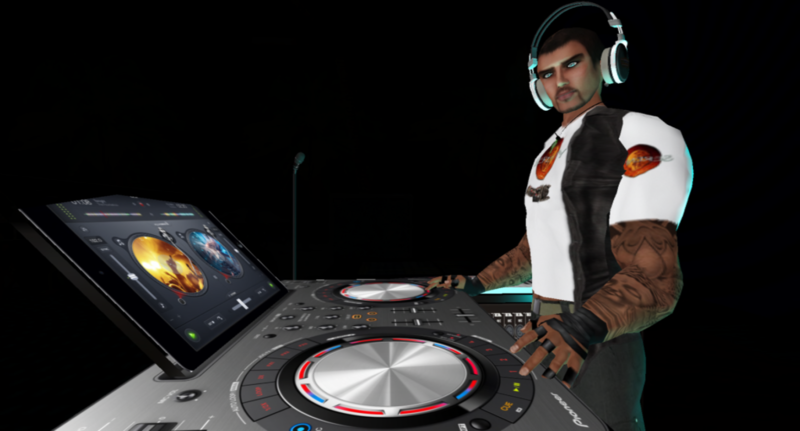 Hypergrid Safari brings “Pirate Day” back to the Atoll!